Some ex-students at Covenant University, Ota, Ogun State, and other concerned Nigerians have criticised the institution for shaving the alleged busy hair of its male students. They took to the social media to call out the school following a viral video that captured students seated in a hall as a man used a hair clipper to pluck hair off the middle of their heads under the supervision of some staff members. The school was also criticised for allegedly using a single unsterilised hair clipper on all the students on the grounds that they might contract diseases in the process. An alumnus, Okoli Offorbuike, said the action was disdainful and undermined the cliché “Kings and Queens” used for students at the university. In one of his posts on Facebook on the matter, Offorbuike posted the pictures of the General Overseers of the Living Faith Church, Bishop David Oyedepo, and the Redeemed Christian Church of God, Worldwide, Pastor Enoch Adeboye, where the former wore Afro and the other kept hair. He called on the university alumni to facilitate the inclusion of a law in the students’ handbook that would accord the students honour, dignity and respect. 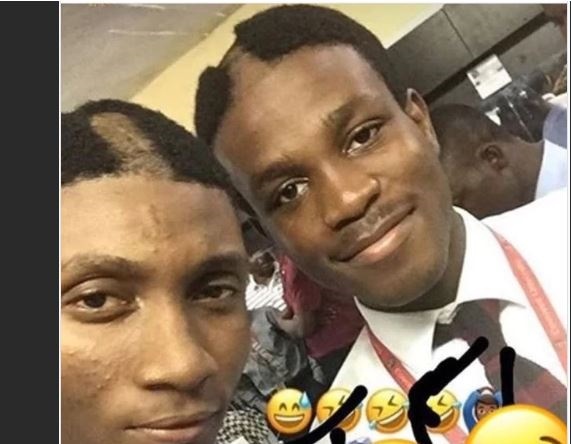 Covenant university male students got the center of their hair shaved and a result of some not carrying their Bible to church. One Matthias Hungbo, who also claimed to be an alumnus, said there was nothing wrong with the students’ hair. He said the shaving was in reaction to some students’ failure to take their Bibles for a service held the previous day. “It’s appalling that people say keep to the rules and regulations, but in all honesty, there’s no rule as to what height of hair should be kept. It just says keep a low cut and the boys always keep their hair well. The management is just passing on its anger as a result of the embarrassment it faced in FT the previous day since some students didn’t bring Bibles. It is sad and even more sad because I feel nothing will be done about it,” he wrote on his Facebook wall. One Mo’Miss @Modupeee also tweeted that shaving people’s hair without their consent was an assault. A Facebook user, Chidiebere Elendu, said the university’s management should be cautioned by the relevant authorities, noting that the school did not factor in health implications of using an “unsterilised” clipper for all the affected students. However, some people defended the school’s action, saying the students were to blame for not complying with the rules and regulations. One Kanye Waste,@iKantWaste, in his tweet, said its action had nothing to do with Christianity. “Those are their rules and regulations, and it is not by force to attend the institution,” he added. Efforts to get the reaction of the school proved abortive as calls were not returned.